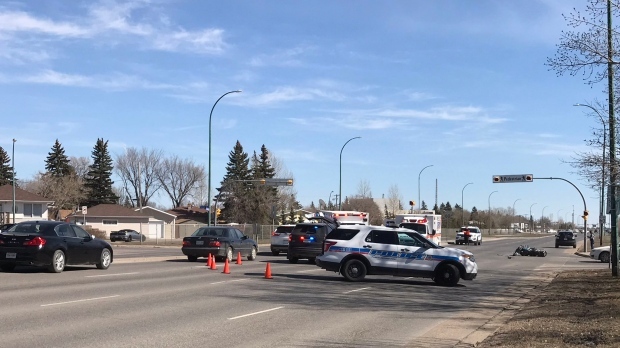 Two people were injured following a collision between a motorcycle and a car at the intersection of Arcola Ave. and Fleury St. According to police, two people were on the motorcycle at the time of the collision. They were both taken to hospital and their current condition is unknown. An officer on scene told CTV News that they are investigating the possibility of alcohol use by the driver of the car. Parts of Arcola Ave. were closed to divert traffic away from the eastbound lanes.